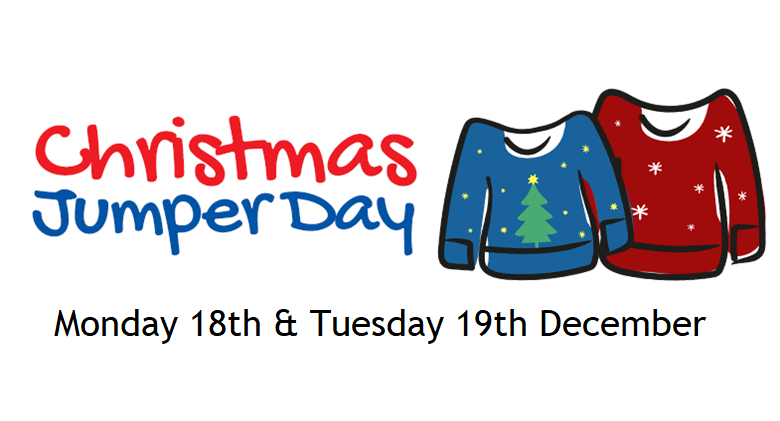 To clarify, Christmas jumpers may be worn on both Monday 18th and Tuesday 19th December. Also, please be reminded that school closes at 2.30pm on Tuesday 19th December. Thank you.